PARIS/LONDON/MOSCOW—North Korea shipped coal to Russia last year which was then delivered to South Korea and Japan in a likely violation of U.N. sanctions, three Western European intelligence sources said. The U.N. Security Council banned North Korean exports of coal last Aug. 5 under sanctions intended to cut off an important source of the foreign currency Pyongyang needs to fund its nuclear weapon and long-range missile programs. Russia’s foreign ministry did not respond to a Reuters request for comment sent on Jan. 18. Russia’s mission to the United Nations informed the Security Council sanctions committee on Nov. 3 that Moscow was complying with the sanctions. Two lawyers who specialize in sanctions law told Reuters it appeared the transactions violated U.N. sanctions. Reuters could not independently verify whether the coal unloaded at the Russian docks was the same coal that was then shipped to South Korea and Japan. Reuters also was unable to ascertain whether the owners of the vessels that sailed from Russia to South Korea and Japan knew the origin of the coal. The U.S. Treasury on Wednesday put the owner of one of the ships, the UAL Ji Bong 6, under sanctions for delivering North Korean coal to Kholmsk on Sept. 5. It was unclear which companies profited from the coal shipments. 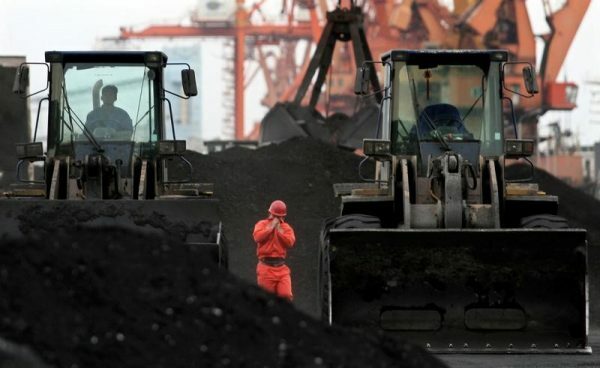 North Korean coal exports were initially capped under a 2016 Security Council resolution that required countries to report monthly imports of coal from North Korea to the council’s sanctions committee within 30 days of the end of each month. Diplomats, speaking on condition of anonymity, said Russia had not reported any imports of North Korea coal to the committee last year. “Also those involved in arranging, financing, and carrying out the shipments could likely face U.S. sanctions,” he said. The independent panel of experts that reports to the Security Council on violations of sanctions was not immediately available for comment. North Korea has refused to give up the development of nuclear missiles capable of hitting the United States. It has said the sanctions infringe its sovereignty and accused the United States of wanting to isolate and stifle North Korea. Reuters reported last month that Russian tankers had supplied fuel to North Korea at sea and U.S. President Donald Trump told Reuters in an interview on Jan. 17 that Russia was helping Pyongyang get supplies in violation of the sanctions. The U.S. Treasury on Wednesday imposed sanctions on nine entities, 16 people and six North Korean ships it accused of helping the weapons programs. Two separate routes for the coal were identified by the Western security sources. 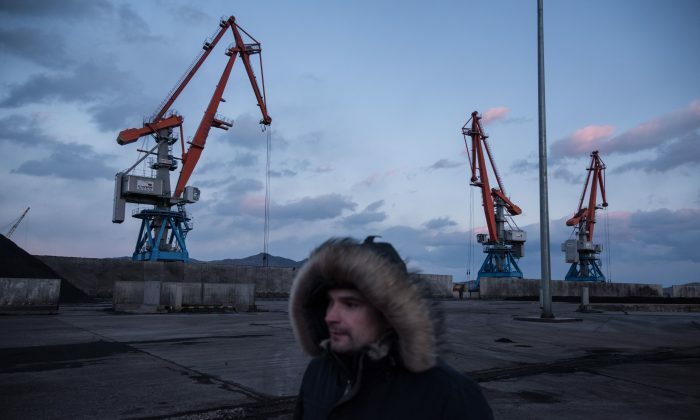 The first used vessels from North Korea via Nakhodka, about 85 km (53 miles) east of the Russian city of Vladivostok. One vessel that used this route was the Palau-flagged Jian Fu which Russian port control documents show delivered 17,415 tons of coal after sailing from Nampo in North Korea on Aug. 3 and docking at berth no. 4 run by LLC Port Livadiya in Nakhodka. It left the port on Aug. 18. The vessel had turned off its tracking transmitter from July 24 to Aug. 2, when it was in open seas, according to publicly available ship tracking data. Under maritime conventions, this is acceptable practice at the discretion of the ship’s captain, but means the vessel could not be tracked publicly. Another ship arrived at the same berth—No. 4—on Aug. 16, loaded 20,500 tons of coal and headed to the South Korean port of Ulsan in Aug. 24, according to Russian port control documents. Reuters was unable to reach the operator of the Jian Fu, which was listed in shipping directories as the China-based Sunrise Ship Management. The Nakhodka-based transport agent of the Jian Fu did not respond to written and telephone requests for comment. LLC Port Livadiya did not respond to a written request for comment. The second route took coal via Kholmsk on the Russian Pacific island of Sakhalin, north of Japan. 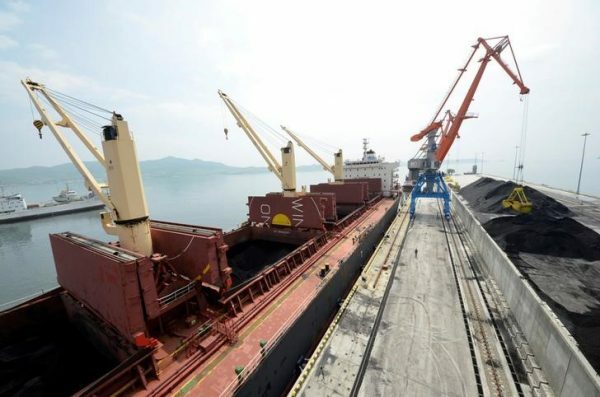 At least two North Korean vessels unloaded coal at a dock in Kholmsk port in August and September after arriving from the ports of Wonsan and Taean in North Korea, Russian port control data and ship tracking data showed. The Rung Ra 2 docked in Kholmsk three times between Aug. 1 and Sept. 12, unloading a total of 15,542 tons of coal, while the Ul Ji Bong 6 unloaded a total of 10,068 tons of coal on two separate port calls—on Aug. 3 and between Sept. 1 and Sept. 8, according to the official Russian Information System for State Port Control. The coal did not pass Russian customs because of the U.N. sanctions taking effect, but was then loaded at the same dock onto Chinese-operated vessels. Those vessels stated their destination in Russian port control documents as North Korea, according to a source in Sakhalin port administration who spoke on condition of anonymity. Reuters has seen the port control documents which state the destination of the coal as North Korea. But the vessels that loaded the North Korean coal sailed instead for the ports of Pohang and Incheon in South Korea, ship tracking data showed. In Beijing on Friday, foreign ministry spokeswoman Hua Chunying told reporters she did not know anything about the situation but China was clear in its hope that the UN resolutions are followed fully. China will not allow any Chinese company or individual to do anything that goes against the resolutions and if there is cast-iron proof this is happening, China will handle it seriously and in accordance with the law, she added. The U.S. Treasury on Wednesday included the owner of the Ul Ji Bong 6 under sanctions for delivering North Korean coal to Kholmsk after the sanctions took effect. The official declined to say whether the ministry was aware of the shipments reported by Reuters. The Japanese foreign ministry did not immediately respond to a request for comment. The European security sources said the route via Russia had developed as China, North Korea’s neighbor and lone major ally, cracked down on exports from the secretive Communist state. “The Chinese have cracked down on coal exports from North Korea so the smuggling route has developed and Russia is the transit point for coal,” one of the European security sources said.